Great color but material a little to thin and requires a good iron after washing and drying. 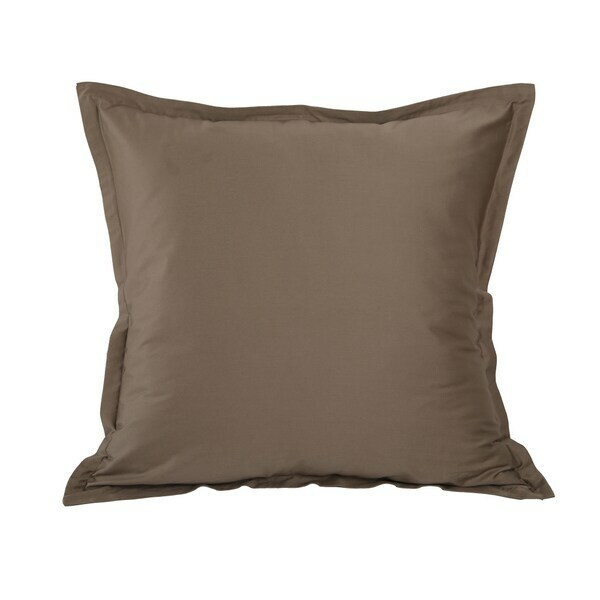 Enhance your bed or couch with this incredibly soft euro sham. Strategically crafted with your comfort in mind, the 300 thread count ensures softness, as does the sateen cotton make up. Machine washable, this sham houses a hidden zipper and is reversible, which makes for a practical application on top of being stylish. Coming with 5 different options, this pillow is sure to match whatever your style and your existing decor. "Is this just the cover or does it include the pillow too?" This is just the sham.